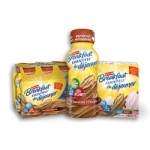 Save $2 on Carnation Breakfast Essentials powder drink mix. Save $2 on Delissio Rustico pizza. 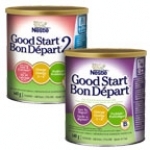 Save $2.00 when you buy Nescafe Sweet & Creamy coffee pods compatible with Keurig. Save $3.00 when you buy Nescafe Sweet & Creamy K-Cup pods. Enter the contest and get a coupon for $3 off 12-can case of Nestle Pure Life sparkling water. 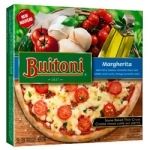 Save $1 on Delissio Rustico pizza. Sign up for MyNestle to print this coupon. Save $1 on Nestle Pure Life Sparkling Water 12 Pack. Save $2 on Carnation Breakfast Essentials.